Mini sessions include Electroencephalography (EEG); Electrodermal response (EDR); Electromyography (EMG); Heart rate; Hemoencephalography (HEG); Neurotechnology - Audio Visual Entrainment (AVE); Neurotechnology - Electrostimulation (CES/tDCS); Neurotechnology - Wild Divine series; Respiration; Temperature. Dr. Pedar Fagerholm is BCIA board certified as a Fellow in biofeedback and neurofeedback and also specializes in Heart Rate Variability and as a qEEGt. His diverse and extensive background in education, psychology, and electronics uniquely Dr. Fagerholm him for this profession. In private practice, he uses neurofeedback, biofeedback, and neurotechnology for a diverse population. 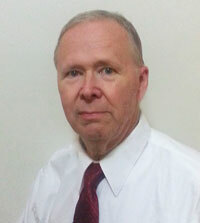 He is a sought-after consultant for counseling and neurofeedback centers. He has been an Associate Professor at Aviation Sciences for Embry-Riddle Aeronautical University and Central Michigan University. Ask him about his rich background in engineering and a retired Navy Commander!